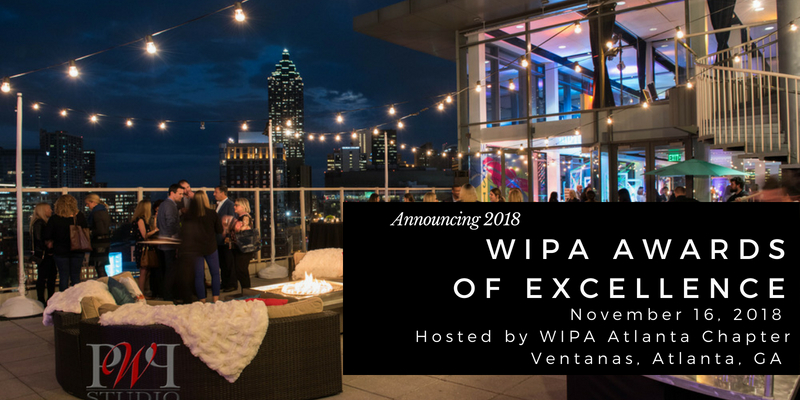 WIPA Awards of Excellence Submissions will be accepted from all disciplines in the wedding industry and are open to all WIPA members. Prior to establishing her own brand in 2008, Kathy managed and designed over one thousand events for Blue Chip companies throughout North America and Europe, and served as General Manager for a privately-owned communications company in New Jersey. This experience resulted in a strong skill set that continues to allow her to seamlessly plan and execute events and experiences in a wide range of spheres. Kathy’s creativity, planning background, and strong business acumen have positioned her as a leader in the planning industry. In 2016 she launched a series of workshops called KR: The Planner Collective and travels worldwide to train and empower other planners and business owners teaching them how to master the art of the business of events. Kathy is incredibly grateful when she is able to work one-on-one guiding planners of all levels through their journey into luxury planning. Brit Bertino, Immediate Past president and Nominations Chairman, has announced that nominations for leadership for chapters and the International level are now open. All members in good standing who are, according to the bylaws, eligible to vote are also eligible to nominate themselves or another person for either a Chapter Board Position or the International Board. 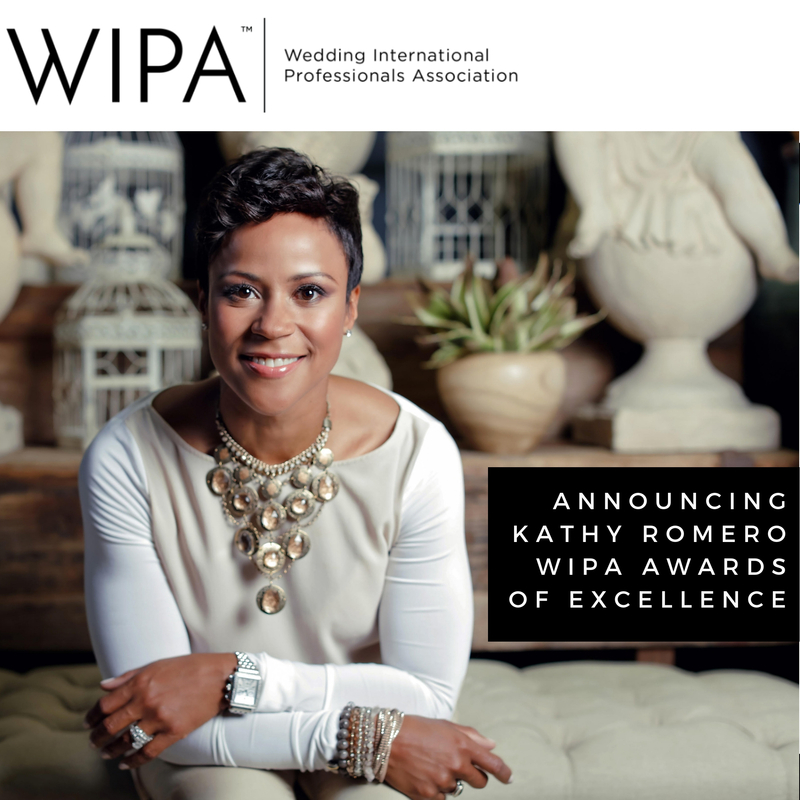 All three nominations forms are located on the Members Landing page of WIPA.org. https://wipa.memberclicks.net/member-landing-page (only members can submit these forms. Interested in nominating someone to serve on a Chapter Board or the International Board of Directors? Please complete this form. Each form is submitted by the individual completing it and is held on file on the WIPA website where it can be viewed by administration. Once nominantions close we will send each chapter a list of the submissions for their chapter. Don’t delay -- Nominations will close on Oct 30, 2018. How etiquette has changed over the last century and the funny things that used to be the norm. New requests from millennial clients that don’t follow etiquette rules. How to steer your clients towards proper etiquette and still fulfill their desires. Tifany Wunschl is the owner of Gourmet invitations, specializing in custom stationery design and etiquette. Avalon Catering is a full service caterer and event planner in Atlanta, Georgia with a commitment to serving only the highest quality menus, thoughtfully prepared with locally grown ingredients. Avalon Catering is a full-service caterer and event planner in Atlanta, Georgia with a commitment to serving only the highest quality menus, thoughtfully prepared with locally grown ingredients. Beautiful documentation of life events. Ellen Thomas Events is a full-service wedding and event planning company based in Atlanta. I pride myself on my professional yet lighthearted approach. Planning a wedding should be fun and my number one goal is for my clients to feel relaxed, supported, and confident in their decisions throughout the process, and to know that their event will be executed flawlessly day of. A British Wedding and Events Floral Designer living in Chicago. As You Wish is a full-service personal assistant firm that handles everything from errands, vehicle assistance, concierge, organizing, moving management, vendor coordination, personal/corporate events, weddings to pre-arrival planning & property management for homes. As You Wish, www.asyouwishcolorado.com, is a full-service personal assistant firm that handles everything from errands, vehicle assistance, concierge, organizing, moving management, vendor coordination, personal/corporate events, weddings to pre-arrival planning & property management for homes. We hold memberships with the Concierge Association of Colorado, Domestic Estate Management Association and the Wedding International Professional Association. Please be assured that our services are completely confidential. ARIA is the newest, most cutting-edge hotel in the industry soaring high in the center of the Las Vegas Strip. In addition to being the largest Gold Certified LEED project in history, ARIA operates as the most environmentally friendly hotel of its time while offering a unique portfolio of luxurious amenities. Desert Botanical Garden is nestled amid the Papago Buttes and is a natural choice to host your event. Choose from open-air pavilions, scenic courtyards, intimate gardens and historic locations for day or evening meetings or receptions. All event guests receive complimentary parking and admission as well. Not to mention when groups book the Garden for their event, they contribute to its desert conservation initiatives. Luxe Linen was featured on California Wedding Day for an Art Deco Meets Mission Wedding. They were also highlighted in Ruffled Blog for a Classy Mod Union at a Historic Venue. In addition, Magnolia Rouge featured Luxe Linen for A Tuscany Wedding Inspiration. Las Vegas member My Wedding Songs will have a booth at the 2018 Wedding MBA. Come and meet Sharon and Matt at booth 2211D. Christie Osborne of Mountainside Media recently shared insight with Special Events on auditing your marketing plan as an event professional. She has also been announced as one of the upcoming speakers for the 2019 Be Sage Conference, where she will be presenting Google Analytics for Busy Business Owners. Phillipvn Weddings was featured in an interview in BizBash for his recent project with Zkipster called "First Impressions." Phillip Van Nostrand was featured on Home Confetti for his coverage of celebrated events designer Troy Williams' son's 5th Birthday Party. Phillip Van Nostrand was featured in Big Day Made for a Long Island wedding he photographed. Therese Cole-Hubbs from Electric Karma International was named to the Save a Mother board which helps provide health care advocacy and behavior change for the poor in India. Sandy Hammer, co-founder of AllSeated will present at IMEX America in October in Las Vegas. She will be covering Event Trends that Will Change Your Business as well as Virtual Reality: An Accessible Game Changer in the Industry. Emily Sullivan, Owner of Emily Sullivan Events will be presenting Planner Wars, Who’s in Charge of This Wedding at Wedding MBA on Wednesday, November 4. Emily was also featured on Ruffled discussing 5 ways to incorporate local flair into a wedding. Meghan Ely, owner of OFD Consulting will be presenting Surprise and Delight Marketing at Wedding Wire World Dallas on October 15. 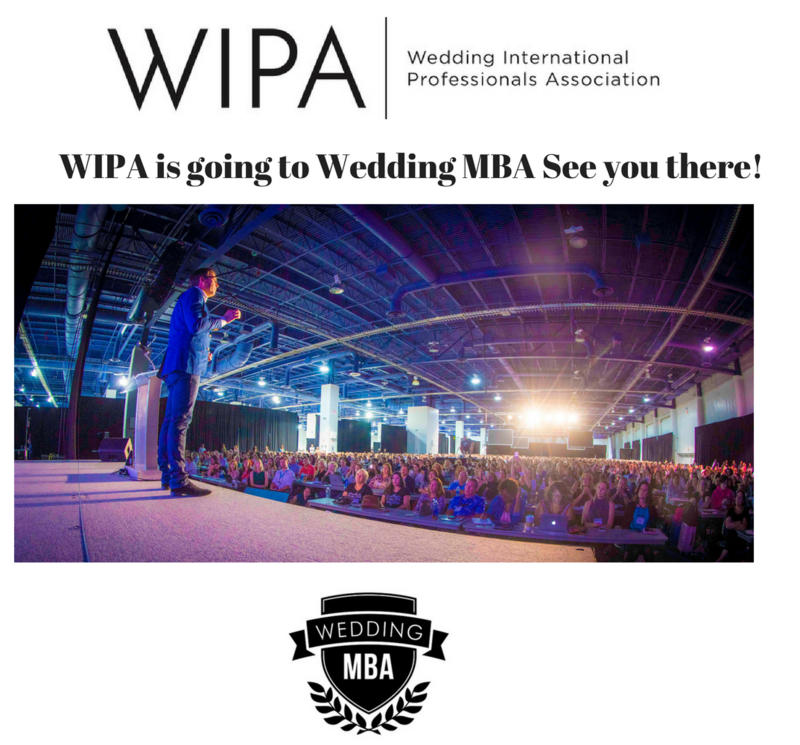 She will also be speaking at Wedding MBA in Las Vegas on juggling work and life on Tuesday, November 3. She was recently confirmed for both TSE and Catersource 2019. Wedding planning blog Confetti Daydreams asked the industry experts Here Comes The Guide for their go-to tips on interesting ways to make MOBs and MOGs feel special on the wedding day. Their clever ideas were included last month in this article "18 Thoughtful Ways to Honor + Include Mom on Your Wedding Day." Creative Coverings has released their new Swatch Trunk! The Trunk is complete with almost 200 4" x 4" linen samples. Swatch Trunks are available for $150 - order today and receive a $150 Creative Coverings linen rental credit. The emerging sales agency, Indigo, was launched this month. They are the contact for Mat Franco: Magic Reinvented Nightly, Magic Mike Live Las Vegas (WIPA member), Legends In Concert, Criss Angel MINDFREAK, Battle for Texas: The Experience, and Dolby Theatre at Hollywood & Highland and are excited to continue to grow. The Magnolia ladies are honored to have been featured in the latest issue of The Atlantan's Women of Power & Influence! Premiere Party Rents is featured on Fox LA for this couple's virtual wedding. Premiere Party Rents is also featured on The Celebration Society for this Mermaid inspired table. Good Gracious! Events is featured on The Celebration Society for this Paddington Bear baby shower. Good Gracious! Events is also featured on Kara's Party Ideas for XO Bloom's "Blooming Into Summer" dinner. Bespoke Edge opened its first Denver office/showroom at 2806 Speer Blvd! Preoccupied Bride was featured in Lakeshore in Love for their downtown Evanston wedding and rustic farm styled shoot. They were also featured in Ladders for how to stay focused at work while wedding planning. Renee Dalo, Owner & Lead Planner at Moxie Bright Events was named a 20 On the Rise winner by Honeybook, Rising Tide Society, Peerspace & Gusto. 20 On the Rise isn’t a popularity contest nor is it a ‘most liked’ list. 20 On The Rise is a curated list of 20 rising stars in 5 categories nominated by the creative community and selected based on empowerment, impact, purpose, and passion. New Moon Entertainment has recently expanded into the Los Angeles market with the addition of their new hire, Seth Handler. Seth has been working in the live events industry for over 10 years as an event manager, marketing specialist, and trusted sales agent, as well as a professional bass player. Born and raised in Los Angeles, CA, he has deep roots in music and a passion for providing high quality entertainment. Elegant Vegas Weddings was on Russian television performing a ceremony as they flew over the Las Vegas Strip on a helicopter. See it live on their website! Couture Colorado, a wedding blog & magazine, has been recently accepted into Aisle Society. You will soon see a few of their favorite weddings be featured on their site. If you have any amazing Colorado weddings, engagements, or styled shoots, please submit through their website. Director of Catering and Convention Services for Green Valley Ranch, Lindsay Wolf, was featured last month on the Morning Blend, Channel 13, to talk about current Wedding Trends that GVR is experiencing with our Wedding Couples. Along with Chef Michael Gillet, Executive Pastry Chef at Red Rock Resort to discuss current Wedding Cake Trends. Heather Jones, Catering Sales Director of Wente Vineyards was recently featured on Martha Stewart Weddings explaining why wedding trends change so often. You can also find her on I Do Take Two sharing why Livermore is the ideal destination for second weddings. Kevin Dennis of WeddingIQ chimed on networking etiquette during conference season for WeddingWire EDU. He also shared his tips for whether or not you should invite your ex to your wedding, as seen on Brit+Co.